MK Oren Hazan says President Obama and MK Ghattas both aided terrorists at the UN and in Israeli prisons, respectively. 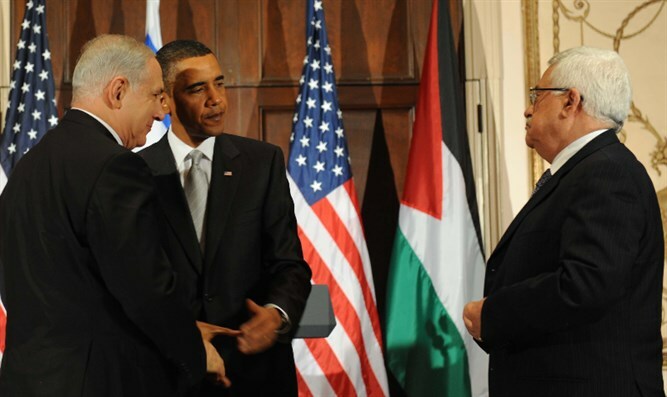 MK Oren Hazan compared US President Barack Obama to Joint Arab List MK Basel Ghattas Wednesday, saying that both of them provided aid to terrorists. "One of them helped terrorists smuggle phones. The other helped the terrorists at the UN." Hazan said during the Knesset debate on the Flag Law. The bill was approved during its preliminary reading by a vote of 44 in favor and 34 against. The Flag Law requires placing the country's flag at every public event attended by a government minister or member of Knesset. If a minister or MK is present at an event where the flag is not present, the institution would face a fine of 5,000 shekels ($1,295) and be banned from hosting official events for six months. MK Yosef Jabarin (Joint Arab List) said that his party would not abide by the law if it is passed, and that they would petition the Supreme Court against it. "The Israeli flag is exclusively a Jewish-Zionist symbol, so it is understandable that Arab citizens cannot identify with it." He called the bill "undemocratic."